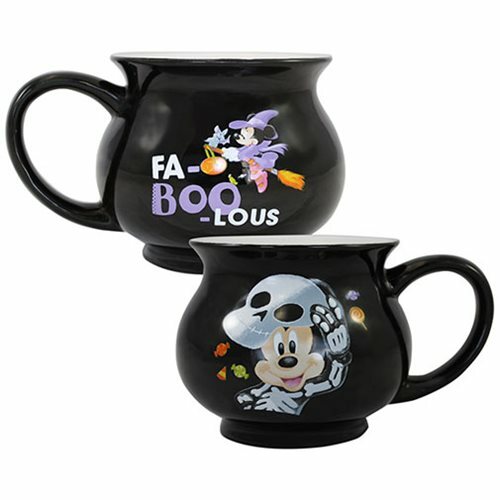 This 5 1/2-inch diameter x 3 3/5-inch tall Mickey Mouse Halloween Cauldron-Shaped Ceramic Mug is "Fa-Boo-Lous." In fact, that's just what it says on the side showing Mickey riding a broom, while the other side has him dressed up as a skeleton! Dishwasher and microwave safe, it boasts bold, bright colors and comes in a matching full-color gift box.